Please note: This is NOT a paid review. 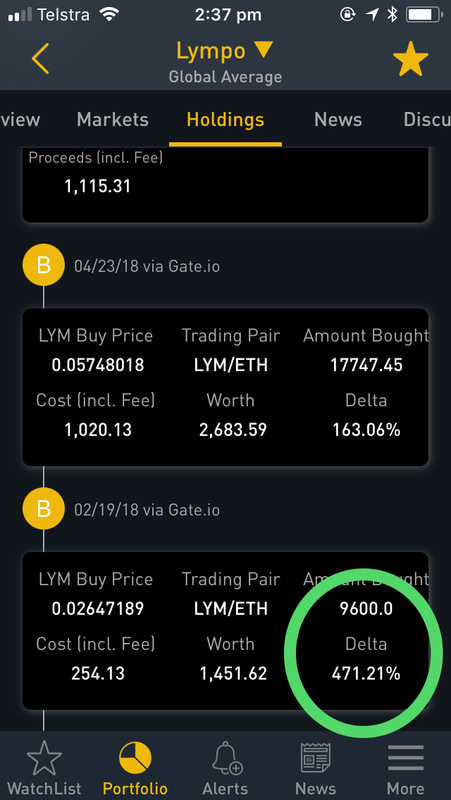 I made my first purchase LYM tokens during their ICO (Initial Coin Offering) and I'm so glad I did because to date, after being introduced on to the market, they have increased in value by 471.21% over the past 3 months. I use Bitsceener to keep track of profits. When I read the Lympo.io whitepaper, summary and roadmap, I was very impressed with the concept and also the quality of the team behind the brand. 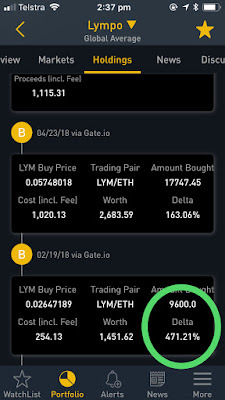 As LYM is accepted onto more cryptocurrency exchanges (particularly Binance) I have no reason to believe my return on investment will do anything buy rise in value over the coming months/year. I intend to buy more LYM on a regular basis. Does the concept solve a problem? Is it a good fit for blockchain technology? What is the timeline (roadmap) for completion? I have observed the Lympo team to be extraordinary in the promotion of their health based ecosystem. Their ability to promote the product and to recruit world leaders in various sporting arenas as ambassadors for the brand, has no doubt driven the price of this cryptocurrency skyward at a great rate. I rate LYM a 4.8 out of 5. Is Bitcoin showing signs of an upward trend? Readers should do their own due diligence and thorough research before taking any actions related to any content on this website, or any of its affiliates or services. howtobuybitcoincyrptocurrency.com is not responsible, directly or indirectly, for any damage or loss caused or alleged to be caused by or in connection with the use of or reliance on any content, goods or services mentioned on this website. The price of Bitcoin and other cryptocurrencies are known to be highly volatile. This means they may substantially increase or decrease in value very quickly. This could mean that you have the potential of huge profits or huge losses. Proceed at your own risk.